County Commissioner’s – 2011 Christmas Gift to Eagle County Taxpayers! Why Not – Look Inside! 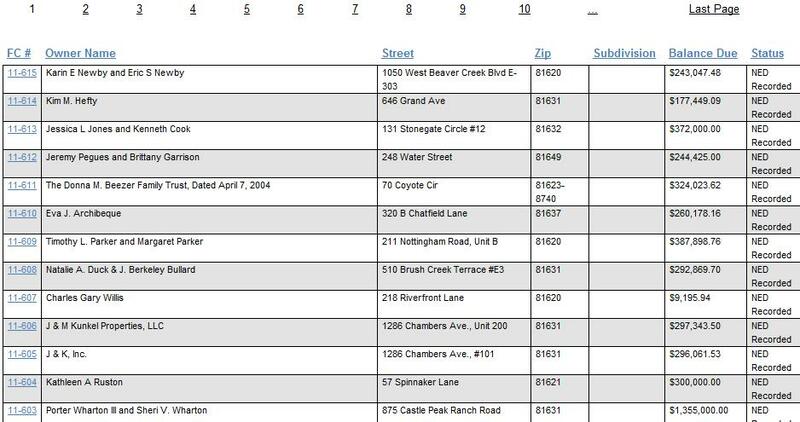 After all you won’t find one word about the 615 Eagle County Home Foreclosures filed in 2011!!! 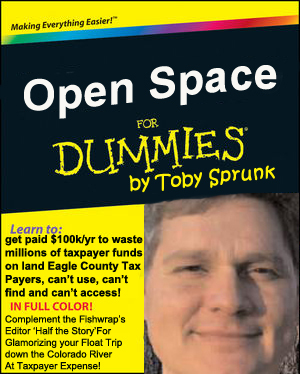 Preface – How Toby got the cushy Eagle County Open Space Director Job in 2011 ($100k/yr) at the Taxpayers Expense! Chapter 1 – Open Space Basics! Gates Ranch? Bair Ranch? Who can tell the difference? – You taxpayers can’t find ’em, can’t access ’em nor otherwise use ’em…after the Board of County Commissioners spent Millions of your Tax money on those purchases! Chapter 2 – by Eagle County Commissioner – Sara Fisher “Protecting our Western Heritage” by allocating Millions in Taxpayer funds for “Cowboy Welfare” Why I supported handing over Millions of your Tax money – to already Wealthy/Millionaire Eagle County land owners! Sara says… See Chapter 1 for more information! Chapter 4 – by Eagle County Commissioner – Jon Stavney – “Democracy be Damned!” – we’re not going to have a November vote to REPEAL the County’s Open Space Tax! Not so Hidden Agenda: I need the support of the Eagle Valley Land Trust for my 2012 re-election bid! So you taxpayers don’t get to have a Repeal vote! Chapter 5 – by the Board of County Commissioners – “Wants vs. Needs – The importance of keeping the unspent $14 Million in Open Space Funds” – while our School District and Fire District try to raise Taxes – to provide the same level of Education and Fire Protection! Chapter 6 – by Clayton Moore of the ECT – “The importance of the November 2012 County Commissioner Election” – Two Commissioner seats are up! The importance of electing two County Commissioners willing to put the Question of the Repeal of the County’s Open Space Tax on your BALLOT! – And at least trying to do something about Eagle County’s Home Foreclosure Rate – now in it’s 3rd year! « Red Sandstone Elementary – The solution is obvious! Excellent parody, nice job. Making fun of these Big Lie elitists by using the truth to expose them is great. They will all be reunted one day — in hell. Luckily the rest of us won’t be there to attend.